Several formats were used for the sessions during Enterprise Connect, and one of my favorites is the “fireside chat”. While there’s no roaring fireplace in the background, the connotation is a candid, free-flowing tete a tete, where the conversation is more thoughtful than confrontational. With no competitors nearby to keep you in check, it’s easier to let your guard down and make a more direct connection with the audience. Wednesday’s edition was a tag-team effort, with No Jitter’s Eric Krapf and Beth Schultz taking turns chatting with speakers in a series of 1:1 pairings. We heard first from Zoom’s CIO, Harry Mosely, followed by RingCentral’s CIO Dave Sipes, and then from Twilio’s COO, George Hu. The format worked well if you just wanted to hear one speaker end-to-end in serial fashion, but it takes away the possibility of a more dynamic interaction to take things to a higher level. That could very well have happened given that these three companies have very different offerings. They’re more adjacent competitors than direct competitors, and they certainly face many common challenges. There is a disruptive element to each of these companies, so there was something to learn from each one. We may never find out what their collective chemistry could be, and for now, we’ll just have to settle for takeaways from each chat. At face value, video really isn’t that disruptive. These days you can get it anywhere, usually for free, and most people don’t even give it a second thought. Of course, it wasn’t always this way, and the complexity made video easy to live without. On this basis, video was doomed to being a niche application with limited use cases. As with many technologies, those perceptions – and realities – get stood on their head as cost curves invariably decline, and the applications become more accessible as well as easier to use. That’s all you need to say to understand why Zoom has been so successful. Listening to Harry Mosely, however, it becomes clear that Zoom is being disruptive in two ways. One is simply how they leveraged technology improvements to make video really sticky. 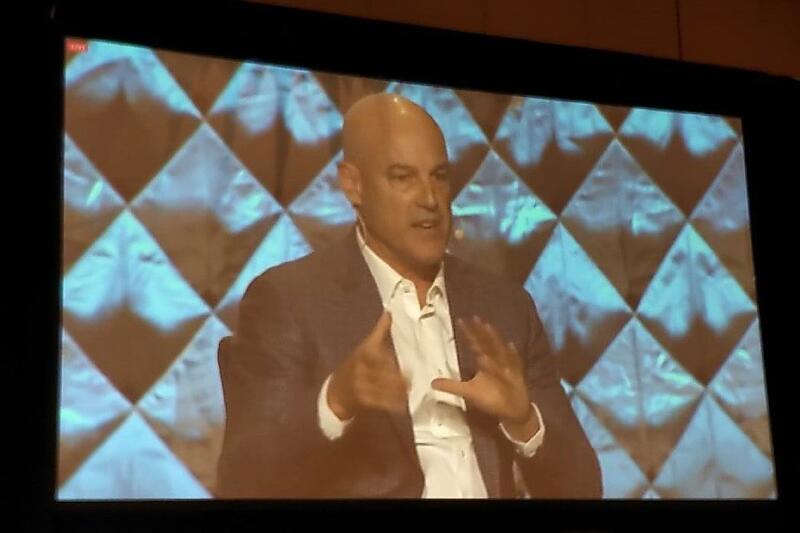 Like many other market leaders at Enterprise Connect, they have made the complexities of video transparent and put the wow factor in the user experience. Not only does ease of use say “wow”, but so does low or no cost. That value proposition is impossible to beat, and in short order, Zoom has become to video what Vonage is for VoIP or Google is for search. I am not sure if Zoom has become a verb yet, but it sure wouldn’t sound out of place. The second form of disruption is a bit more worrisome for everyone else in the collaboration space. 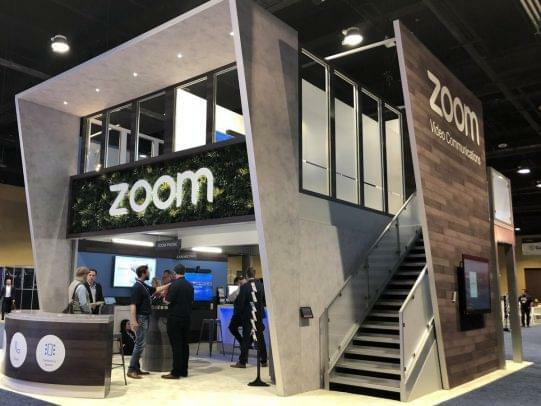 In January, they announced Zoom Voice, taking them beyond the point solution category, and giving businesses a different way to think about doing voice and video. As Harry Mosely noted, this “establishes their complete portfolio”. Interestingly, this did not come about due to a grand plan for growth. Rather, he explained that “clients were coming to us, asking what can you do in the phone space?”. Perhaps that speaks to the shortcomings of other voice providers, but it likely says more about the strength of their brand, and how they’ve earned the trust of customers to move into new spaces. What makes this worth watching is the huge market opportunity ahead. Eric Krapf led this chat, and noted that only 3% of the 32 million huddle rooms in the business market are video-enabled. With Zoom being the front-runner for cloud-based video, they can be very disruptive to the video sector status quo. Furthermore, Harry views video as being “the new voice”, and whether voice drives new video for Zoom or the other way around, they look to be in a very good spot. 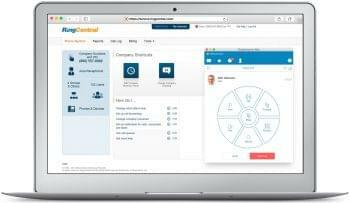 Disruption means different things to different people, and you may not view RingCentral as being disruptive. While OTTs are the norm now, they were quite early for hosted communications serving businesses. That made them very disruptive, at least to the incumbents who long had a lock on this market. They withstood incumbent pushback, and along with a few others, they now dominate the cloud UC space. What was once disruptive has become their competitive advantage, and RingCentral’s star has been on the rise for some time. 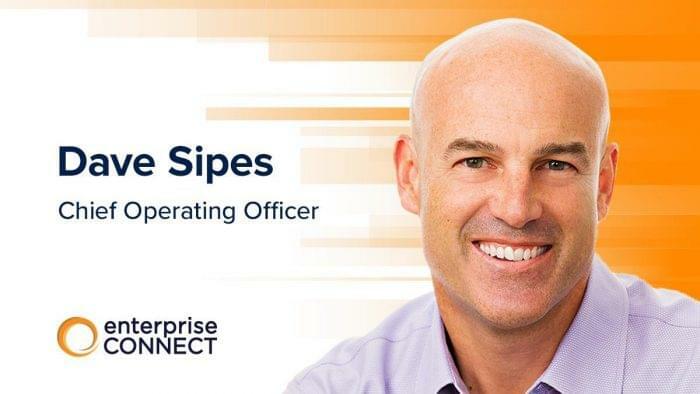 As the chat with Beth Schultz got underway, she and Dave Sipes talked about how Gartner has now dropped premises-based UC as a Magic Quadrant category, and that’s a clear sign of the times. With RingCentral being totally cloud-native, Dave was no doubt happy to say “we see cloud increasing – it’s winning”. With cloud being table stakes now, the focus shifted to growth and where their business needs to go. 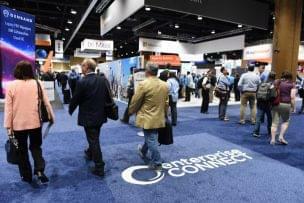 AI may be the hot topic at Enterprise Connect, so it might have been surprising to hear him talk about voice. 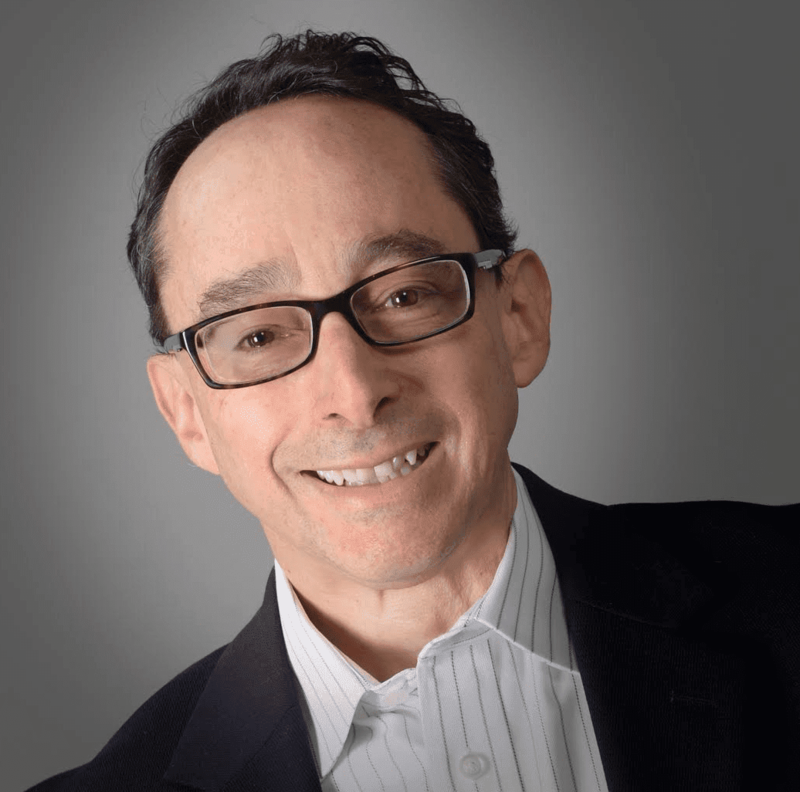 This is still core for effective communication, and for RingCentral, it’s about providing “invincible dial tone” and “failsafe connectivity”. Strong language gets attention, and while it may seem like a defensive ploy to differentiate from competitors, it’s really about assurances to customers that this critical mode will always be there to keep the business running. Interestingly, in legacy times, these were table stakes, and that’s exactly the basis for discouraging businesses from using hosted services. We’ve come full circle, and now it’s the incumbents who can’t move on from legacy voice fast enough. Like Zoom, Twilio is relatively new, and in little time have also become a dominant player in their space. Being a developer-centric business, it’s harder to see how Twilio fits into the communications ecosystem (although they are one of the best SIP trunking providers! ), but with Twilio Flex now in the market, the picture is clearer. CPaaS companies like Twilio are highly adaptable, and they have correctly identified the contact center as ripe for this type of innovation. George Hu noted there are over four million developers on their platform now, and that’s enough critical mass to disrupt any sector and provide innovation that’s more transformative than transactional. Companies like Twilio talk about the API economy, and they come by their disruption honestly. George explained how their early customers were digital disruptors, like Airbnb and Netflix, and that’s given them a head start in helping more traditional businesses move along this path. Along those lines, he described Dominos as being “a technology company that happens to deliver pizzas”. In many ways, all businesses are becoming technology companies, and CPaaS platforms provide exactly the kind of agility needed to innovate quickly to keep customers happy. Twilio developed Flex with the view that customer service – and customer experience – is the best way to differentiate today, and that means providing personalized service to each and every customer. 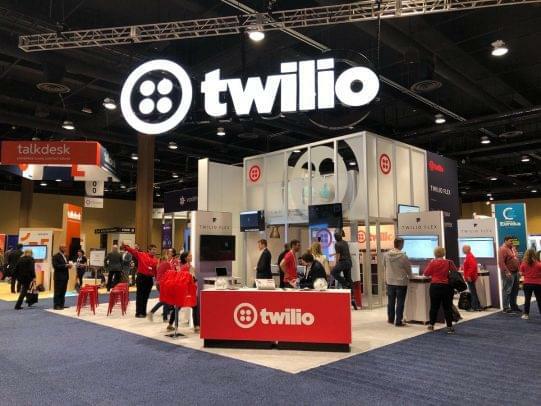 This is where developers can bring value, and Twilio has attracted so many of them because their platform is able to drive the innovation contact centers are looking for. That said, the developer model is not the norm in this space, and while Twilio has fantastic momentum, it remains to be seen how far they’ll move down this path for transforming contact centers. Twilio is a great fit for environments that want to build-their-own applications, and in fact, that’s a great way to truly differentiate. However, many contact centers aren’t willing or able to do that, and depend more on off-the-shelf applications from their current contact center partner. 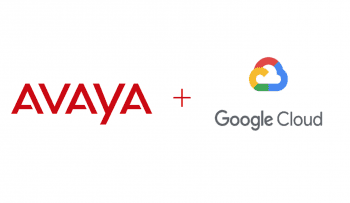 There’s more to the Twilio story, but the main takeaway here is that for those who can embrace CPaaS to improve CX – among other things – the possibilities are limitless. However, developers can be a fickle group, and they’ll migrate to where the money is. For now, Twilio is working for them, and perhaps there’s no stopping their progress. However, Twilio is heavily-funded, and IPO aspirations aside, the time will come soon for this model to drive the revenues needed to keep investors happy. Established contact center players are moving quickly to provide similar capabilities, and while they may never close the gap, they could slow things down enough to stall Twilio’s plans.